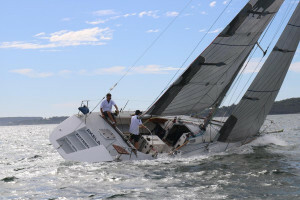 Scott Jutson designed 40 foot race yacht. 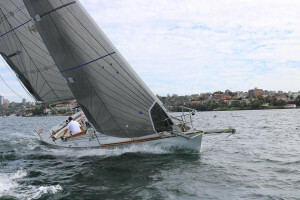 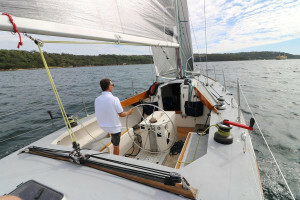 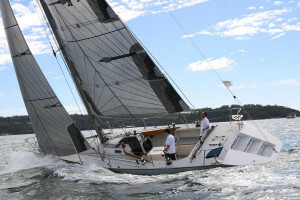 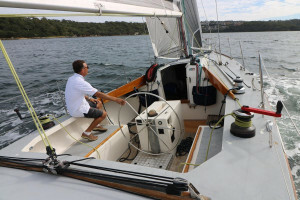 Built in Gosford by Boatspeed this 40' race yacht is a fabulous harbour racer. 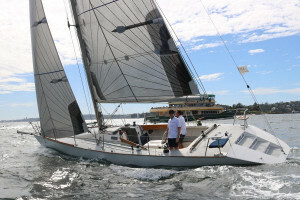 Designed for day sailing and racing this 40 footer still matches the latest design yachts in speed and has consistently won races in the CYCA Winter Series. 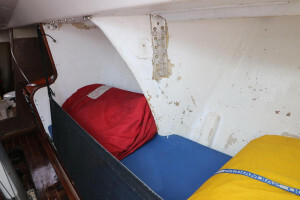 A large deep open cockpit is spacious for large crews or very comfortable for a picnic sail. 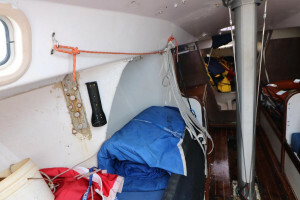 The boat is covered by a large Hood boom tent. 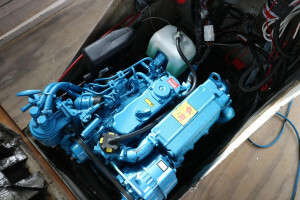 "Akela" has just been fitted with a new Nanni 29hp engine in 2018 which will give this classic many years of reliable yachting. 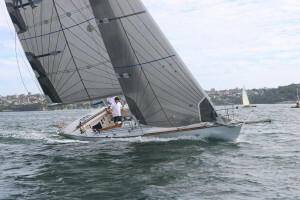 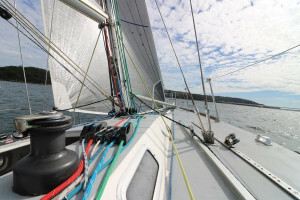 The yacht has a large inventory of Hood Race Sails, including 2016 Hood Carbon main sail in excellent condition, #1, #3 headsails and a Code Zero on a furler. 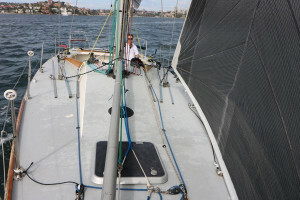 The boat has been optimised for Assymetric spinnakers with a large bow sprit making easy to handle assymetric downwind sailing. 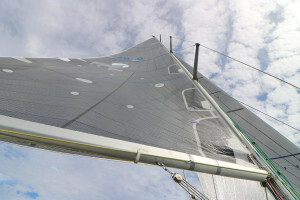 Symmetrical spinnakers are also included. 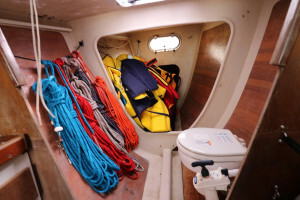 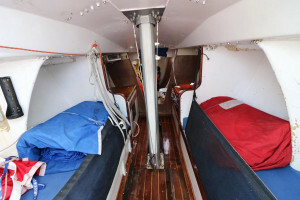 The interior has good sail storage and two berths/settees with lee cloths midships. 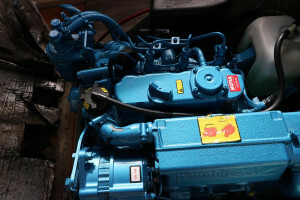 A manual head is also below deck. 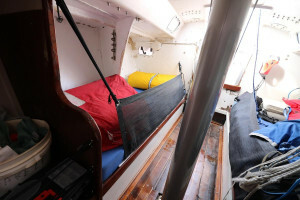 Having been used as a race yacht, below decks is set up for sails and day racing. 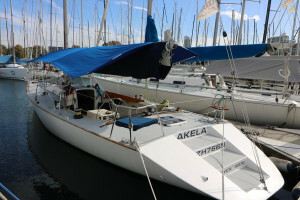 "Akela" is for available immediate sale and offers any buyer the opportunity to continue the boat's success in the upcoming Winter Series or your club's series.